And, with current odds of 100/1*, this French horse could allow racing fans to rein in some serious earnings if he crosses the finish line first. 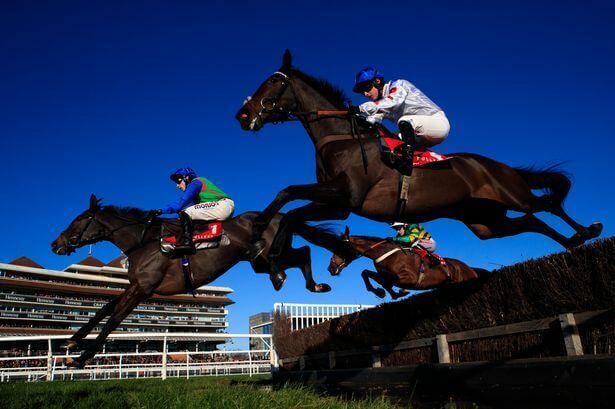 Virgilio (left) finishing second to Clan Des Obeaux (nearside, in white) in the Grade Two Fuller’s London Pride Novices’ Chase at Newbury Racecourse. Picture by John Walton/PA for Liverpool Echo. Those concerned about the unfavourable odds should be reassured that a 100/1* outsider has been victorious at Aintree as recently as 2009. Mon Mome – also nine-years-old at the time – won with jockey Liam Treadwell less than a decade ago. Other lucky characteristics punters might look out for include the starting price. Horses with odds around 19/1 perform best and 10-year-old Cause of Causes is the only horse in this year’s line-up currently rated at a similar 20/1*, although prices will fluctuate in the build-up to Aintree. Our research shows that, historically, nine-year-old horses weighing 10st 7lbs race best, so this makes Virgilo an interesting proposition, despite the bookies rating the horse at 100/1*. When placing a bet on this year’s Grand National it’s worth considering the historical data as it is contrary to the bookmakers’ favourite of Total Recall.